YOUNGSTOWN, Ohio – When it comes to discussions of health care in the Mahoning Valley, it’s the major players that draw much of the attention. Organizations such as Mercy Health, Steward Health Care System, Southwoods Health and One Health Ohio all provide a vast array of services, but the spectrum of care in the region stretches far beyond their walls. Among the health issues that affect vision are high blood pressure, diabetes and tumors, she added. 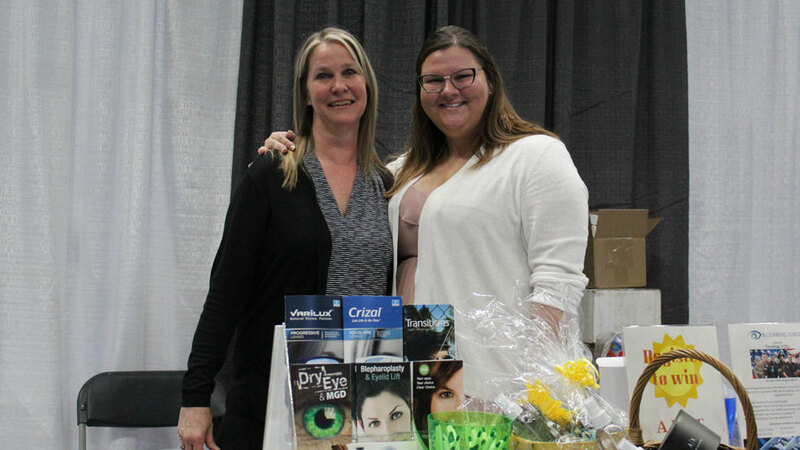 Bloomberg Eye Care, which has offices in Austintown, Boardman and Warren, was among the more than 55 vendors at the Valley Health & Wellness Expo Saturday. The range of specialties on display at the two-day expo, hosted by the Youngstown/Warren Regional Chamber, ranged from dental care to physical fitness to mental health to geriatric care to youth services. Roseanne Deemer and Michelle DeMarco of Bloomberg Eye Care. The nonprofit provides therapy, mental health and substance abuse counseling, medication management and vocational rehab to children and families. To further broaden its impact, Youth Intensive Services has started working with area school districts to provide care in schools, Thompson added. “With the increase in mental health issues, particularly among our kids, its important to have those services in schools. Sometimes a lot of parents don’t have the ability to make appointments after school or on weekends, so we provide those services during the day right there in a school setting,” she said. For medication management, Youth Intensive Services offers telemedicine, allowing students to talk about their prescriptions from school, as well as a DNA test that can better pair them with appropriate medication. 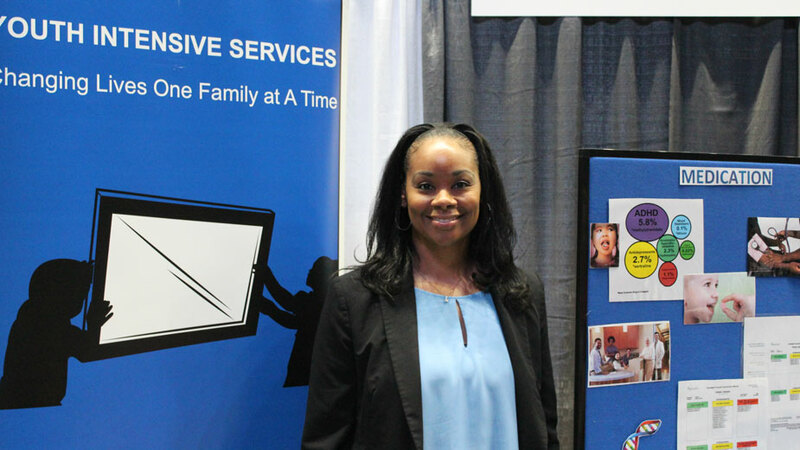 Youth Intensive Services brings its services into area schools, said chief operating officer Desirae Thompson. As the opioid crisis continues to impact the Mahoning Valley, the need for comprehensive counseling is crucial, said Carolyn Givens, executive director of Neil Kennedy Recovery Centers. To effectively treat addiction, she explained, it must be treated as the disease it is. 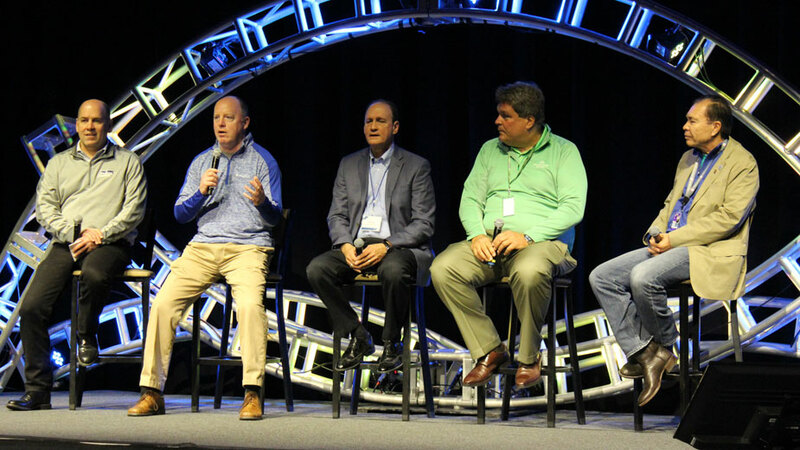 With so many facets of health care in one place, the leaders of the four larger systems – Mercy Health, Steward, Southwoods and One Health Ohio, the sponsors of the expo – said the key to improving medical outcomes in the Mahoning Valley is working across lines, whether it’s between specialties or organizations. In May, Southwoods Health will open its newest center, dedicated to pain and spine care. What led to its development, said CEO Ed Muransky, was what’s driven the rest of Southwoods’ expansions over the years: keeping care in the Mahoning Valley. Youngstown/Warren Regional Chamber CEO James Dignan joined the leaders from the four sponsors of the expo: Dr. John Luellen of Mercy Health-Youngstown, Trumbull Regional Medical Center President Ron Bierman, Southwoods Health CEO Ed Muransky and One Health Ohio CEO Dr. Ron Dwinnells. “If you’ve ever had back pain, you don’t want to be told you’ll be seen in two months. You want to be seen yesterday,” he said. The center will add about 150 jobs to Southwoods, he added, noting that figure pales in comparison to what the medical industry could have in store for the Valley over the course of the next decade. Delivering the level of care similar to that of what’s found in major cities such as Cleveland or Pittsburgh, added the Regional Chamber’s Dignan, would play a large role in the attraction of new businesses to area, or even convince expanding companies to stay. Pictured: The second Valley Health & Wellness Expo brought in more than 55 vendors from across the spectrum of health care.